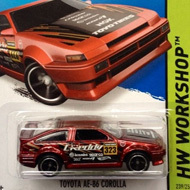 129/250 is part of the HW Race series and the 2015 Super Treasure Hunt set. 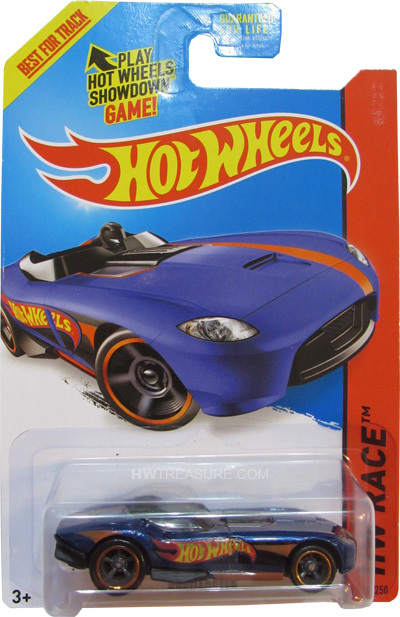 The convertible sports blue Spectraflame paint, an orange stripe on the top, orange graphics, the Hot Wheels logo on the sides, and “TH” on the rear. 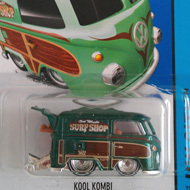 It has a clear windshield, gray interior, Real Rider wheels, and a black plastic Malaysia base. The RRRoadster made its debut in the 2014 HW Race series. The unique design has a 1100 horsepower supercharged engine and is inspired by classic British roadsters.